Lot 113: Paul Outerbridge, Jr. The stunning archival pigment print, Animus #3, Omo Valley, Ethiopia, 2011, by Elizabeth Sunday, sold for $ 390 at the online auction benefiting the George Eastman House. The benefit auction, both its live and online event, took place from the end of September until Monday, October 10th. 204 photographs from vintage photography to contemporary works were available for sale by famous and emerging photographers from across the globe. Sunday’s signed print was valued at $ 3,000 and is #7 in an edition of 7. 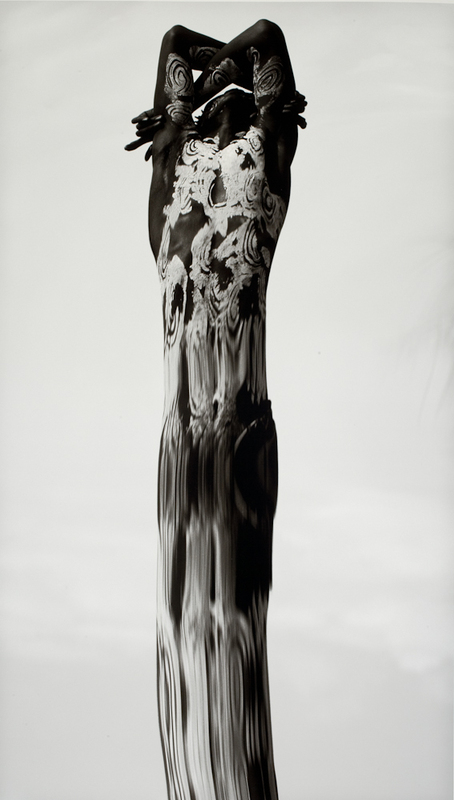 Two black and white photographs by Philadelphia-based photographer, Gerald Cyrus, sold for $ 75.00 at Stair Galleries on September 10, 2011. Cyrus’ images were among 705 available lots, including 20th century paintings, prints, furniture, and estate property. Lot #471 included the photographs New Orleans (Eating Ice Cream), and Untitled (Boy on Swing). Both images were framed.